We’re back again with more Disc Data! This time we take a look at the top selling molds from Dynamic Discs, Latitude 64, and Westside Discs. (Aka: Trilogy). 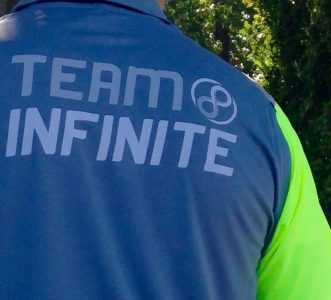 We’re going to break it down by brand first, and then show them all compared together. Plus, at the end we will look at a summary of the three brand sales compared to each other. Right off we see that three putters, the Judge, Warden, and Deputy take the top three spots. To me this isn’t too surprising, as these putters have always sold well. The Deputy is the newest of the three and has climbed it’s way up the ranks since it’s release. Nothing else too crazy here, just cool data. From Latitude 64 we see that another putter, the Pure takes first place by a good margin. The River follows up in second place. 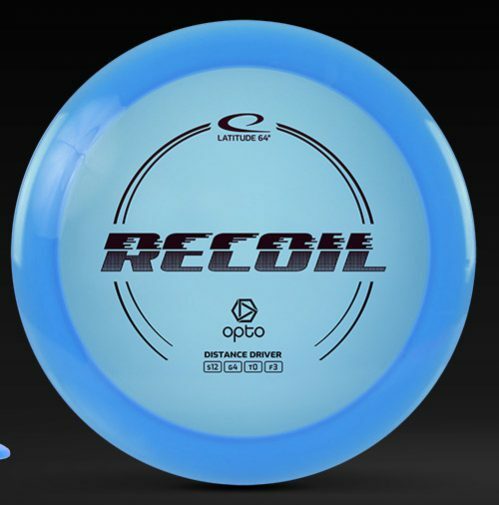 This isn’t too surprising, as this is a super popular disc for beginners and lower arm speeds. The Dagger has taken a fall though- it used to be the best seller of Latitude a couple of years ago due to Ricky Wysocki’s growing popularity. 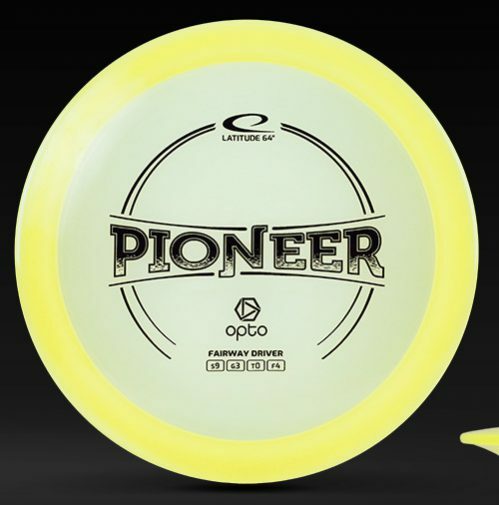 Recently the Dagger has slowed down a little bit, but still remains the third highest selling Latitude 64 disc, which is nothing to scoff at. Wow. 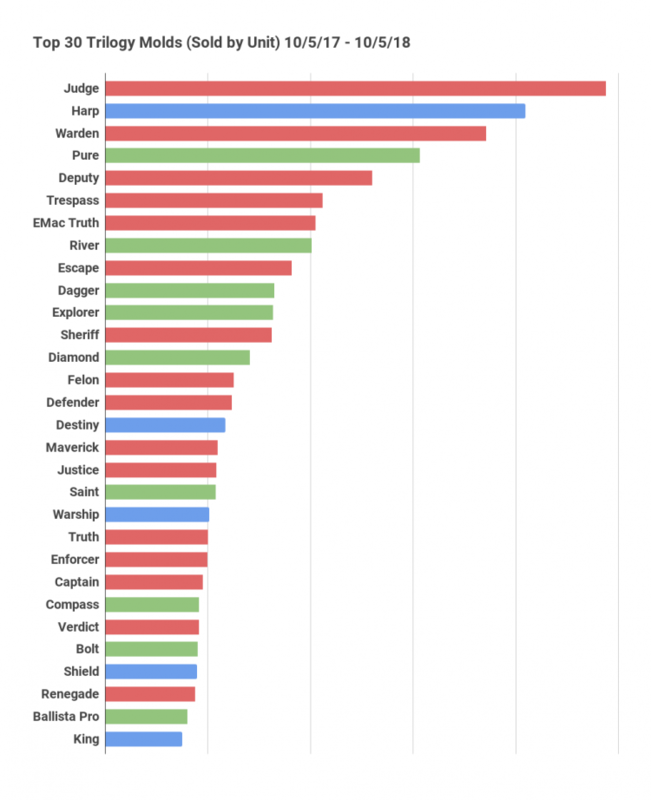 The Harp has truly shown it’s dominance this year by holding that number one spot and beating the Destiny by about triple. The best sellers drop off fast here, and then remain fairly steady throughout the rest of the molds. People really love the Harp, what more can be said? Here we see that putters capture the top 5 spots of all three brands. The Judge still squeaks ahead of the Harp for the top spot! Do you see anything that intrigues you? Let me know in the comments! Finally, let’s look at the brand sales compared to each other. I thought this data was interesting. 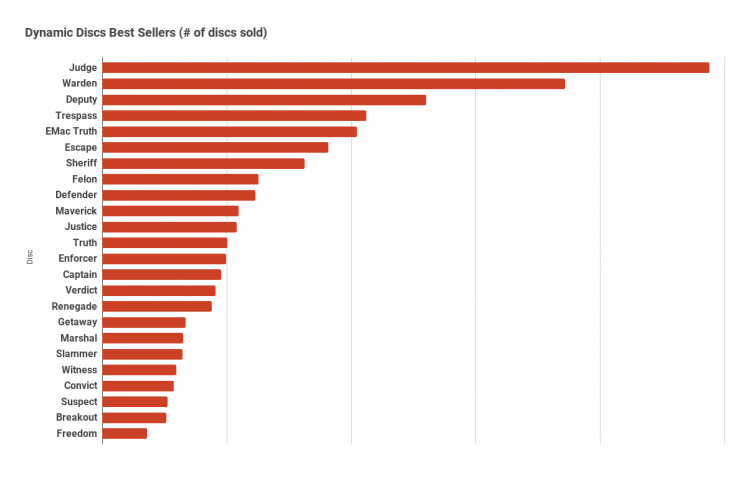 We start off with discs sold by brand. 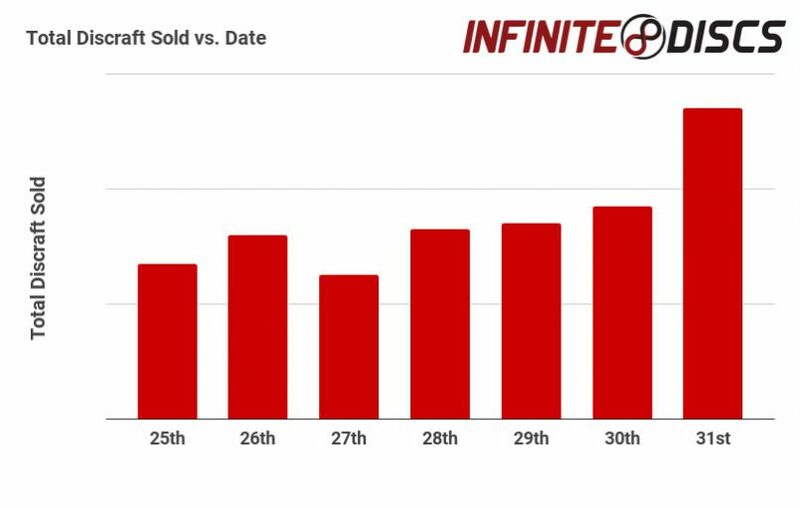 This is the total number of units sold by brand compared to each other. (Sorry, can’t reveal exact figures.) The second graph shows how many molds each brand has in production. A mold was counted if we sold any of it during the last year. So some OOP molds may still be counted if we still have remaining inventory to be sold. 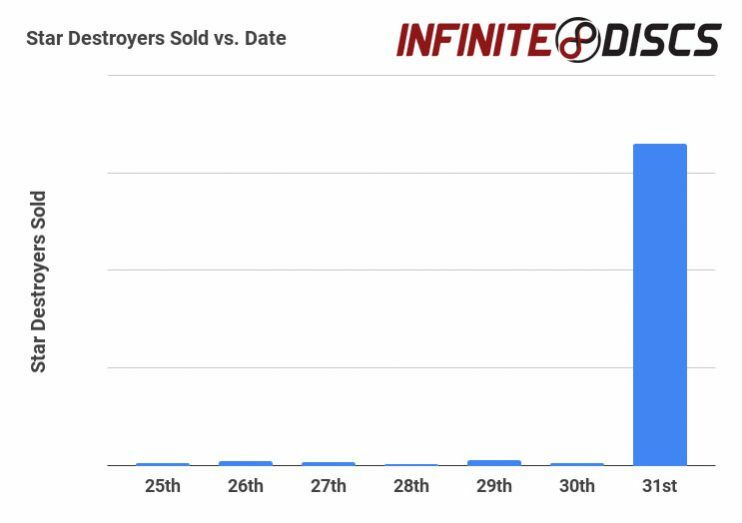 The last graph represents the average number of discs sold per mold. 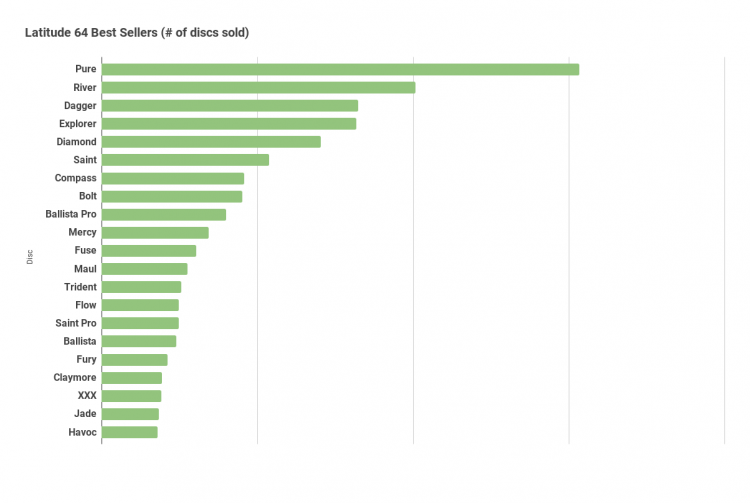 We took the number of discs sold over the last year and divided it by the number of molds this brand produces. This data shows some interesting things. 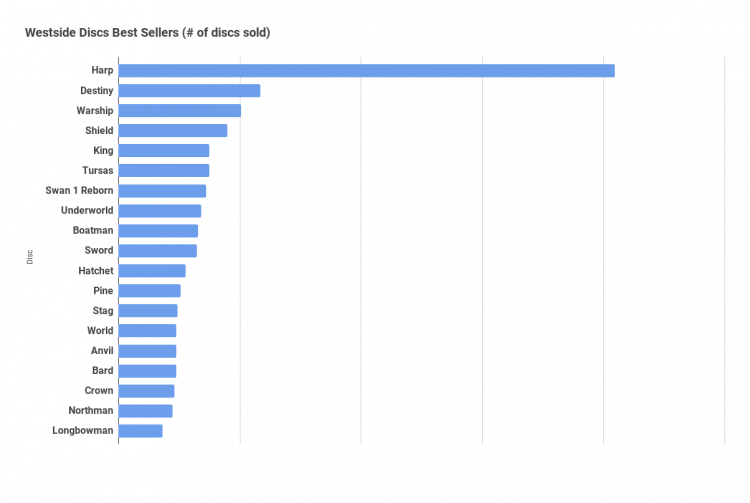 First of all, Dynamic Discs holds 42.2% of the sales of the three Trilogy brands. However, Latitude 64 has 56 molds as compared to 32 and 31 from Dynamic and Westside. 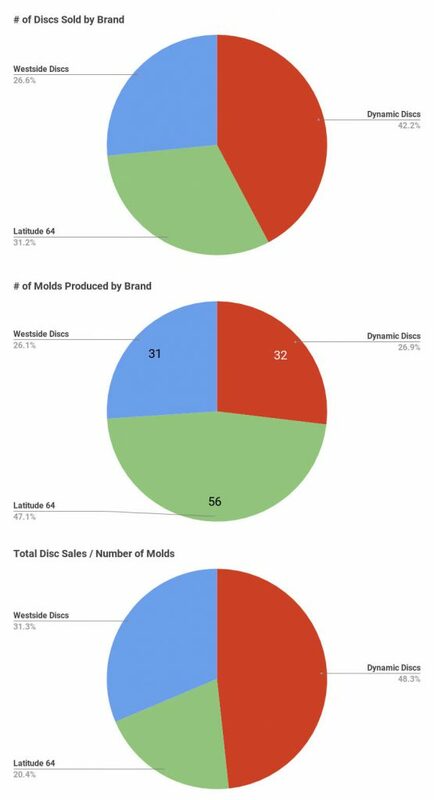 With nearly double the molds, but only a third of the molds sold, this shows as Latitude has the lowest average number of discs sold per mold. Westside Discs overtakes in this final category, proving that its few molds still hold a lot of power. This could be due to the Harp alone, or because of their unique stamps. Do you notice anything else interesting? Let me know! Hope you’ve enjoyed this weeks’ Disc Data!